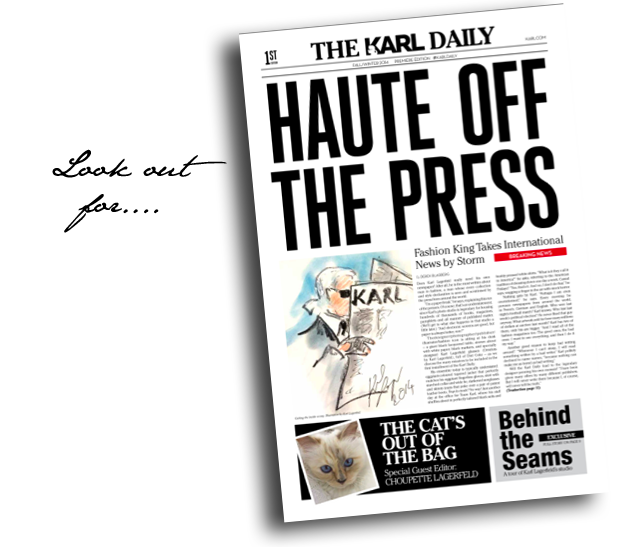 If you are attending Paris Fashion Week or happen to be near a Karl Lagerfeld store somewhere in the universe, you’ll want to look out for the first ever Karl Daily. Yes, Uncle Karl now has a paper to share with the world. It’s everything you’d expect from the Lagerfeld we’ve come to know and love over the years and it’s already causing quite a stir. Honestly, is there anything that Karl does that doesn’t get people talking? Now, there is a special plug here, obviously, as I told you I wasn’t just reporting fashion news anymore. 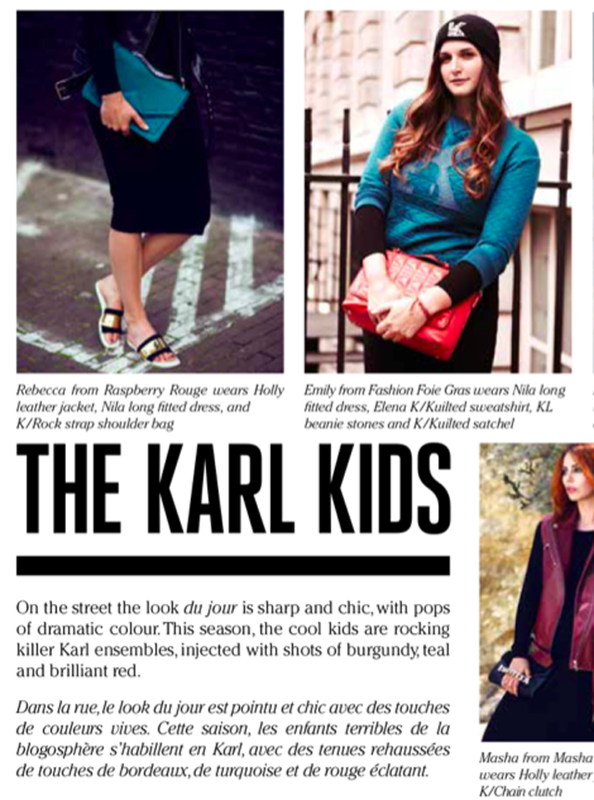 I, Fashion Foie Gras, am actually featured in Karl Daily, as one of the Karl Kids. Team Lagerfeld asked me to step in front of their cameras sporting a Karl Lagerfeld autumn winter look and when Karl calls, you answer – or become fashion meat loaf. In all seriousness, the autumn winter collection is good – very good. Worth checking out the paper and clothes. Ok, plug over. Over and out, good fashion readers. Ps. You can also read Karl Daily online!